List Rules Upvote the fictional characters below as to who’s going to be the most a messed up adult. List of fictional children who are going to be messed up adults. Today we pit Nature vs. Nurture as we look at 15 fictional children who are going to make for some messed up adults. Does it come from parenting? Is it something already built into their DNA? Or does it have to do more with the environment they’re brought up in? Some children on the our list have to avenge their families, some of them are destined to be leaders in a post- apocalyptic world, and someone of them are surrounded by so much death how can they not be desensitized? Look at the precious ragamuffins below, read the cases as to why they’re ticking time bombs, and upvote who’s going to be the most trouble for either themselves and/or society at large. If there’s anyone we left off the list, feel free to add them. SPOLER ALTER notice on all these character write -ups. Carl is the wave of the future – but what kind of future? It's no secret that Carl will have to one day take over and lead the group after his father, but what kind of leader will he be? At this point Carl is completely desensitized to shooting a person in the face. 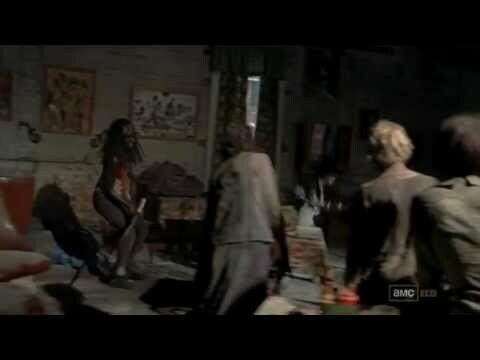 He gets plenty of practice with the walkers and he’s a crack shot for a person whose voice hasn’t even changed yet. In the comic books, Carl slowly becomes a sociopath, and that’s a realistic outcome growing up in a zombie apocalypse with no light at the end of the tunnel. Carl will grow up to lead the group as an unwavering dictator. He won’t bend the rules for anyone because he’ll see the mistakes his father made. He’ll also have no trouble killing anyone living or dead, and he'll be able to make the harder decisions for group survival. Carl might not be crazy like The Governor (though it's not hard to imagine), but any normal human compassion he may have picked up in his few years will be completely drained from him. It’s a sad case of what could have been had the world not completely changed on the kid. Will they be messed up adults? Poor Arya Stark. Her short life is already marred by great tragedy and in the world of Game Of Thrones we know it’s not the last of it. Arya’s life is committed to one mission and one mission only – revenge. Arya’s going to have to live a solitary and repressed life. She can never love anyone because everyone she’s ever loved ends up dead. Not to mention her feud is with the richest family in her land and it would be impossible to strikes any of them without making hundreds of enemies. She will forever be in a wolf’s den, constantly looking over her shoulders, and blocking out basic human intimacy. Arya also has death at her fingertips in Jaqen H’ghar who will assassinate anyone she asks. Arya is a young harbinger of death. 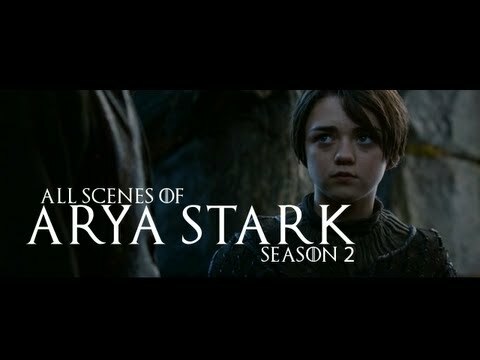 Even if Arya were to pull off her life’s great mission what happens next? Maybe she becomes a heartless blade for hire like the man who beheaded her father – Sandor “The Hound” Clegane. There are few people to stay “good” in the lands of Westeros and Essos, and they usually end up dead. Arya’s could become a powerful cutthroat who in the wrong hands could really sway who gets in power and who stays in power – a real wild card. #7 on Who Will Sit On The Iron Throne When 'Game Of Thrones' Ends? Plain and simple, Mathilda will never know a normal life. Even if her family wasn’t murdered, it didn’t look like it was a happy life to be brought up in. The only death in the family she cared about was her kid brother. She wouldn’t be a contract killer, but she would have been unhappy and would have carried on the dysfunction to her children – and that’s only if she didn’t run away before it became too much. Mathilda’s a headstrong person who can dive into whatever’s in front of her. She jumped into the idea of being a contract killer pretty quickly. Mathilda’s life is pretty laid out for her in Leon. She’ll live a lonely life with nothing really to live for. There will just be the job and the money that comes after. Any loving relationship she pursues will just be her searching for a new Leon, but she’ll never find it. She’ll be a ghost. Not being able to leave her mark anywhere and not being able to get to know anyone, and this is for everyone’s safety. Maybe one day she’ll come across an orphaned kid who she can pass her training onto and die for – if she’s lucky enough or if she’s good enough to not lose her life sooner. 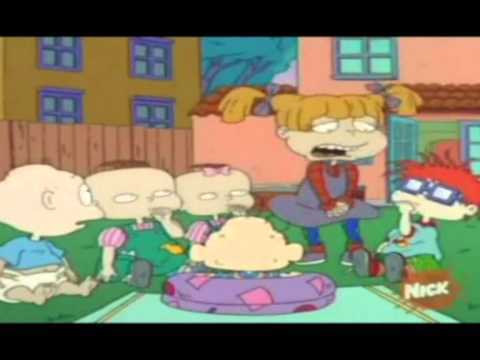 “Spoiled Rotten” aptly fits one Angelica Pickles. She was never taught boundaries, was never told “no,” and things always went her way or she would throw a fit. We all know people like this and they usually mean a world of hurt for people who were taught to think about others. Angelica is a product of her environment. She’s got the go-go work mom who never really gave her full attention and a spineless father who let Angelica walk all over him. In some ways she paid for this by not having friends her own age, putting all her affection into a banged up Cynthia doll. I imagine Angelica would take more after her mother, climbing up the corporate ladder and becoming a Bill Lumbergh type boss for her office. She would have no problem making you work the weekends or laying you off just before the holidays. There was an episode of Rugrats, that took after It’s A Wonderful Life where if Chucky Finster wasn’t born Angelica would be an evil queen in a dystopian future. So we know she has that level of malice within he. So you should thank your lucky stars that we live in a world where Chucky Finster exists. #21 on What TV Character Would You Want To Be Your Sidekick If You Were A Superhero?